The Mayor of Harare Hebert Gomba has announced that Harare City Councilors are contemplating honouring the late Prime Minister Morgan Richard Tsvangirai with a street name and Oliver Mtukudzi with Harare gardens. In a statement on Thursday Gomba said, "Harare city councilors are in serious discussions to name Harare gardens to Oliver Mtukudzi gardens and 3rd street to Morgan Tsvangirai street , what are your views as residents?" "Great idea, I suggest even erecting a huge statue of Tuku in the middle of the Harare gardens. 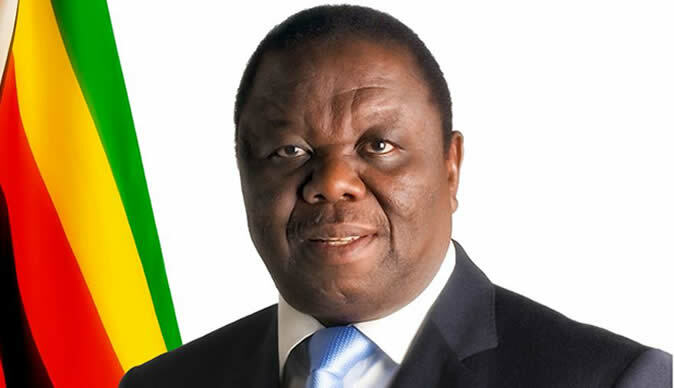 3rd street is too 'obscured ' for Morgan Tsvangirai's level, find another street." Mashiri Zwaqrima said. MDC official Miriam Mushayi said, "Way to go. They both deserve the honour without any doubt." However some residents were of a different view. "Whilst you are at your ‘serious discussions', kindly prioritise how you can improve service delivery to the city." One Michael Utete advised. "Personally I don't think that is good having such discussions when family, friends and fans are still mourning. Maybe on a later date. I think building an arts centre or theatre would be great honour with a giant statue in front. "Zimbabwe needs things which come with development. Facilities that support upcoming artists, not just renaming roads, airports and other things over and over." Another resident Tendai Mushonga said. Mtukudzi passed away in Harare Avenues hospital on Wednesday afternoon. He is reported to have suffered blood cancer for many years. Tuku's life has been celebrated by the whole world for his excellent music that surpassed physical borders.